Make requirements first class citizens in the modeling world. Requirements are gathered and managed in dedicated requirements tools. When it comes to requirements refinement and integration with business, software, and system architecture, different requirements interchange formats are used. It can be comma separated value, MS Excel, Word, or XML. These are nonstandard ways, which bring drawbacks. It is clear that need for dedicated common format exists. This is why the German automotive industry started the open, non-proprietary format for requirements exchange development. Starting with the upcoming v18.0, all MagicDraw-based Cameo Suite products will support ReqIF import as part of the new Cameo Requirements Modeler plugin. ReqIF is the XML based international standard for requirement data exchange, standardized by the Object Management Group (OMG). It has solid recognition in the industry and adoption by many requirements management tool vendors. It is used to exchange requirement information between different tools and tool chains. Import process includes the ability for custom mapping with the option to import all data and dynamically create properties. Update process includes change management support with requirements status identification. After import, new, changed, updated or obsolete requirements are identified with the ability to check the impact of changes. Integrated with other models: business, software and systems architecture, test cases, and tool chains: PLM tools (e.g. Teamcenter), CAD tools (e.g. Catia), and others. This enables requirements driven design and communication of changes with all stakeholders. 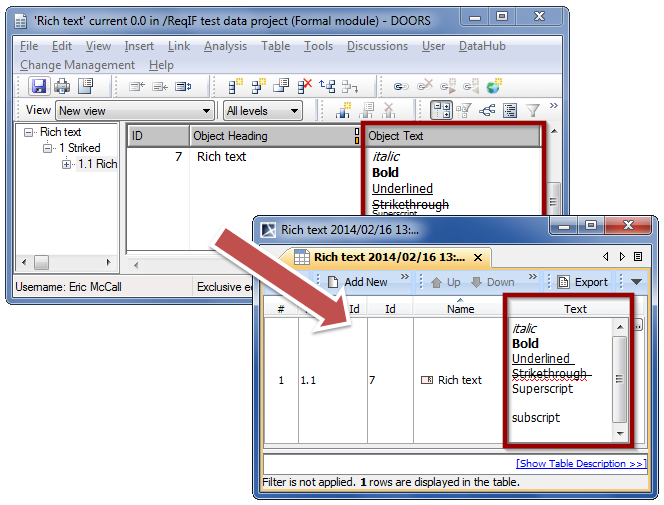 Reviewed with visualization in diagrams, tables, matrices and structure maps. Analyzed with built-in and custom validation suites, coverage metrics, traceability. Collaborated with a global modeling project’s repository, supporting collaboration inside a project, change and configuration management, multisite support. Simulated with OMG standard-based model execution, debugging, animation, and user interface prototyping supporting framework. Published with MS office and Open Office docs, Web-based reports, with the ability to have custom reports incorporating required data. * Import tested with: IBM Rational DOORS 9.4, 9.5, Next Generation, Polarion, PTC Integrity, Siemens TC, and other ReqIF 1.0 compatible data sources. 2. Update existing data. It is possible to create relations to any other model element, e.g. test cases, or architectural components, to realize total traceability as required by the processes. On update, all custom relations are left untouched. 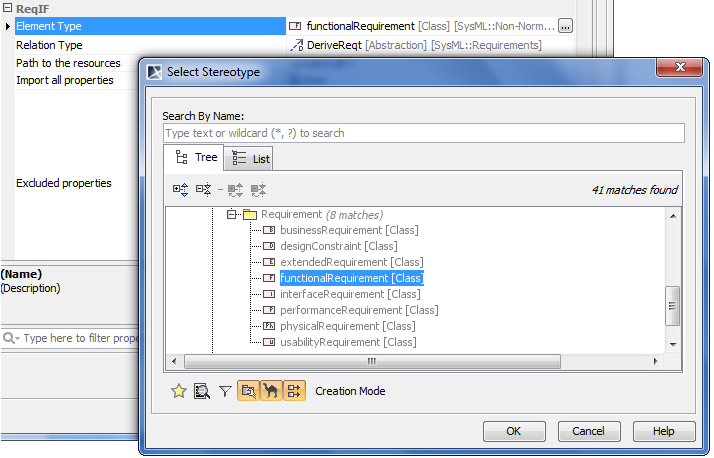 The Cameo Requirements Modeler Plugin is the central part for simple model based requirements support. It implements the OMG SysML standard requirements part, which has proved itself in system engineering. With this plugin requirements are now available for all domains: business, software, and enterprise architecture. The Plugin provides the means to import, create, and store requirements with the rest of the model; as well as trace, analyze, and keep consistent with other models. The Requirements Interchange Format (ReqIF) makes it open for interchange. It is also easily extendable and customizable. The group working on the initial release of ReqIF consists of the ProSTEP iViP Association, Atego Systems GmbH, Audi AG, BMW AG, Continental AG, Daimler AG, HOOD GmbH, IBM, MKS GmbH, PROSTEP AG, Robert Bosch GmbH, and Volkswagen AG. Hey, Is there any way to convert rif xml to the reqif format?